Highlights of the Sky Bet league One match between Colchester United and Burton Albion. 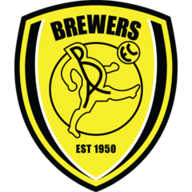 Burton kept up the heat on League One leaders Wigan thanks to an emphatic 3-0 victory at Colchester that relegated the hosts. Lucas Akins netted a hat-trick to buoy his second-placed side - who had failed to win in their previous six games - and inflict relegation on the 10-man U's. Colchester went into the game with only the slimmest chance of clambering out of the bottom four. However, their flickering hopes took a major nosedive after being reduced to 10 men in the 17th minute. Full-back Joe Edwards was penalised for a foul on Damien McCrory, although he appeared to win the ball and looked shell-shocked as he trudged back down the tunnel. The U's were rocked back on their heels and only some smart saves from their man of the match, goalkeeper Elliot Parish, kept it 0-0. A goal looked inevitable, though, and it duly arrived in the 45th minute. Mark Duffy delivered a low centre from the right and Akins was well-placed to turn the ball beyond Parish. 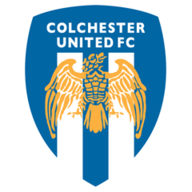 Colchester were staring relegation in the face and their fate was effectively sealed four minutes into the second half. Akins, again, was on target after latching on to a ball on the edge of the box and rifling home a superb second. Akins then added his side's third on the hour-mark, lashing an unstoppable effort across goal and inside the far post.